Can fill 25 gms - 1 kgs in same machine. In order to keep pace with never ending demands of the customers, our company is instrumental in presenting excellent quality assortment of Automatic Pouch Packing Machine. To meet the specific requirements of our patrons, we are engaged in offering a wide range of Powder Packaging Machines. 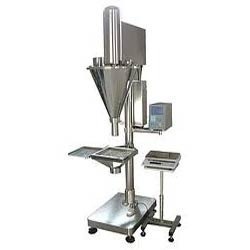 These Powder Packaging Machines are manufactured by using finest quality material and advance technology. 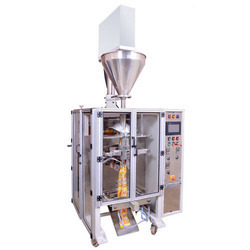 Also, these Powder Packaging Machines are extensively used for packaging various types of powder. We are the leading manufacturer and supplier of Granules Powder Packing Machine. Feeding head: Auger screw feeding system. Production Speed: 30 - 35 pouches per minute.